Many of you have asked me why I have chosen not to support, or participate in the Epic Poker League, and while I have a laundry list of reasons, I'd point out that I chose not to take part in the World Team Poker event for one sole reason: I didn't think it would be a success. The same holds true with the Epic Poker League. Not just because of the bizarre choice in name, but because I don't believe this product will resonate with the public and based on my intimate knowledge of how these types of things work, I don't think it's possible to bring in enough revenue to survive. The only legitimate chance the league has to survive is if regulation happened in the U.S. and they were able to create an online poker site. Jeffrey Pollack wouldn't admit that to you publicly, but it doesn't take a rocket scientist to do the math here. Millions of dollars being given away to players, money spent on a TV time buy, money spent on staff, etc. with no way of recouping those funds through licensing or sponsorship. Networks aren't going to pay you for poker programming because the necessary ratings just aren't there. The WSOP is the world's most prestigious brand at this point with hundreds of hours of poker programming on TV, and yet they have been unsuccessful in bringing in major money from mainstream sponsors. Ty Stewart, a straight shooter/great guy, and the man behind all of the sponsors the WSOP has been able to bring in over the years, struggles to entice mainstream sponsorship. We have Jack Links and Dearfoam slippers, but there isn't a Lexus, or Caddilac type brand that's stepped up to the plate at this point. The Epic Poker League has 7 hours on CBS and 13 hours on a network that is yet to launch. That pales in comparison to the hundreds of hours of coverage on ESPN. Does anyone really believe that Jeffrey will be able to pull in enough money from sponsorship to sustain the amount of money going out the door? I'm always careful about what I attach my name and likeness to, and after doing my due diligence on the "business plan" I don't think this league can succeed. Of course I could be wrong... but I'm not. The WPT and the WSOP both have a social media site, which EPL also launched. Cool idea bro, but these things don't really make money, certainly not enough money to cover the operational costs of this league. So, as I said previously, any and everyone involved behind the scenes knows full well that the league is depending on creating a brand in the hopes of entering the U.S. market with an online poker site. That's the business plan. The best thing that happened to the EPL to date was Black Friday. If Black Friday didn't happen, the first event wouldn't have gotten off the ground. 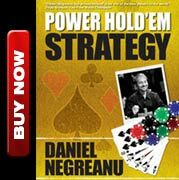 People talk about another boom in the U.S., but the more realistic view sees poker as a popular niche sport followed religiously by die hards, that will never quite regain the popularity it once enjoyed... and that's OK. Many parts of the world are experiencing a boom much like the one we had here in the U.S., but there is no reason to think that the EPL will be able to create a boom in the U.S. that rivaled the original Moneymaker boom. 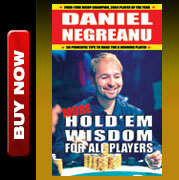 To this day, while the die hards may be in awe of names like Galen Hall, Randal Flowers, Matt Hawirlenko, Sam Stien, and Isaac Haxton, when the mainstream audience thinks of poker they think of names like Chris Moneymaker, Phil Ivey, Scotty Nguyen, Johnny Chan, Mike Matusow, Gus Hansen, and Doyle Brunson (none of whom played in the first event). It will be the EPL's job to make stars out of these younger players really quickly. They have 7 hours of network TV time to show the all in hands, a few others, and then do background pieces on these players to get the audience invested in these people. In some cases that will work, and in others it just won't. There are only so many "I dropped out college because I was making more money 24-tabling online" stories you can do. There are certainly some really great, interesting young players in the game that the public will be drawn to, but that's the exception not the rule. While the 2+2 crowd may love a featured table with online pros they adore, the mainstream public wants to see Sammy Farha bluff Phil Hellmuth and watch him go on a tirade! -no real Cinderella stories at the final tables. Like I said, I could be wrong and they could create something I'm not seeing here in terms of a televised product that captures the mainstream audience and brings in mainstream sponsors, but I'm not. I get the enthusiasm, and understand why the hype has convinced people otherwise, but the league's financial structure is fundamentally flawed from a revenue standpoint and is doomed to be an #epicfail. For the truly elite players, this is free money for them in terms of EV, but the vast majority of entrants are just not good enough to show a profit against this super tough field. The saddest fallacy at this point is that a lot of these players believe that the 'exposure" they might attain from being on TV could land them some kind of endorsement money...unfortunately, after Black Friday, that ship has sailed in the U.S. If a random player with a less than interesting story/personality wins the first TWO EPL's, that isn't going to get him any closer to a lucrative sponsorship deal of any kind. I don't want to call anyone out, or hurt anyone's feelings, but there are ample examples of absolutely incredible poker players involved in this league that will simply never make any endorsement money from poker, no matter how good they are, or no matter how much they win.